From 2015-2017, Active and Safe Routes to School led a province wide study to better understand how children travel to school. Over two years, 305 schools across Manitoba conducted classroom surveys, using the innovative tool BikeWalkRoll, for one week, three times a year (October, February, and May). A school’s BikeWalkRoll score is based on the proportion of students that chose active travel (bike, walk, or roll). BikeWalkRoll data analysis and project support was provided by a Technical Working Group. This report includes key results, a summary of health challenges faced by youth, and suggested actions to improve active school travel rates. 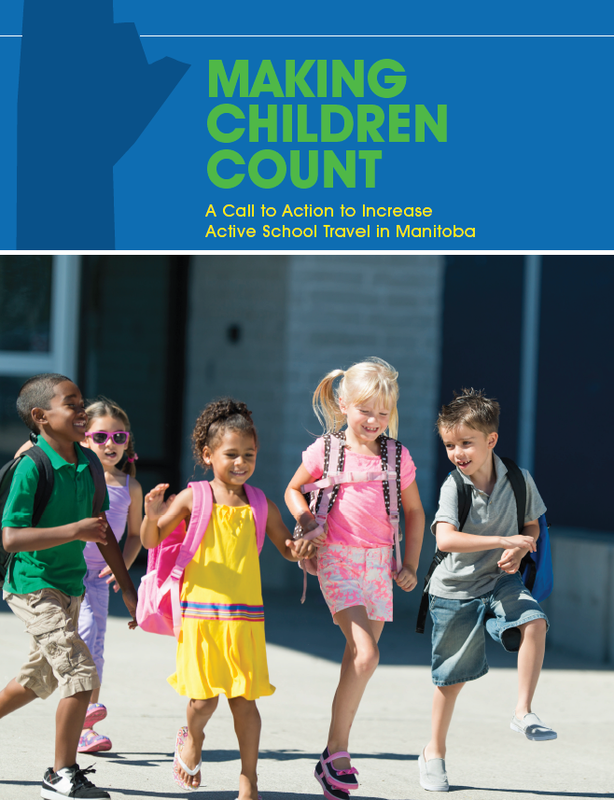 If you would like to discuss this report with the Active and Safe Routes to School Program, please contact us at asrts@greenactioncentre.ca or (204) 925-3777. ™The heart and / Icon on its own and the heart and / Icon followed by another icon or words in English or French are trademarks of the Heart and Stroke Foundation of Canada used under license.